Products liability law is complicated enough without also adding in the complication of artificial intelligence and the inability of the law to keep up with technological innovations. These innovations have been accused of killing individuals during surgical procedures, in industrial and factory accidents, and via semi-autonomous driving systems and cars. So how does this all work in terms of product liability and assigning responsibility? While the people behind these innovations are the ones held responsible legally, the legal exposure is anything but certain and predictable because the laws behind this liability have not been updated to keep up with the times, making product liability defense somewhat tenuous for the manufacturers and other businesses behind the innovation. This gets especially complicated when multiple businesses are involved in assembling one product; for example, car manufacturers being held liable for tire defects even though the tires were purchased from a separate company. As a result, “robot makers” are held liable under what can only be termed “ill-fitting” legal theories: i.e., manufacturers are sometimes liable when their machines cause harm, even if it was completely unforeseeable, and yet sometimes only liable when they expressly behave negligently, recklessly, and/or with the intention of causing harm. Additional complications arise when you consider new state laws in places like Texas, where people are now technically allowed to drive in autonomous vehicles, while federal law is still sparse on the subject. There are no national frameworks or regulations for autonomous vehicles—just the voluntary guidelines from the National Highway Traffic Safety Administration and the Surface Transportation Reauthorization and Reform Act, which simply encourages research on the subject. In other words, everyone lacks clarity, including the companies that can be held liable for accidents, injuries, and death in court. We still do not know, for example, whether the software programmer who coded the autonomous vehicle can be held responsible. As a result, courts apply the “old” rules and hope for the best, resulting in a kind of haphazard, unpredictable set of terms of liability. Experts liken this approach to traveling cross-country while changing currency and language at every state line—there is no real predictability. In this highly complex field, if you are a manufacturer, you want to ensure that you work with experienced product liability defense attorneys who understand all of the caveats of practicing in the area, as well as the latest updates and risks. The Brownsville attorneys Colvin, Saenz, Rodriguez & Kennamer L.L.P. 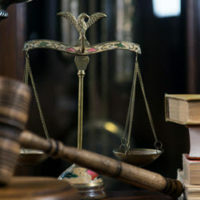 have decades of experienced in products liability defense, representing automobile and other manufacturers in litigation. Contact us today to find out more.